Toronto Community Housing (TCH) has spent more than $18,000 on private investigators in the past two years — and at least some of those tax dollars went towards surveillance of its own employees. The public housing agency admitted to using "other surveillance" as part of investigations into two veteran employees it fired, according to statements of defence for a couple of wrongful dismissal lawsuits filed earlier this year. Both suits are ongoing — as is an external probe into TCH's human resources practices by a workplace investigations law firm. 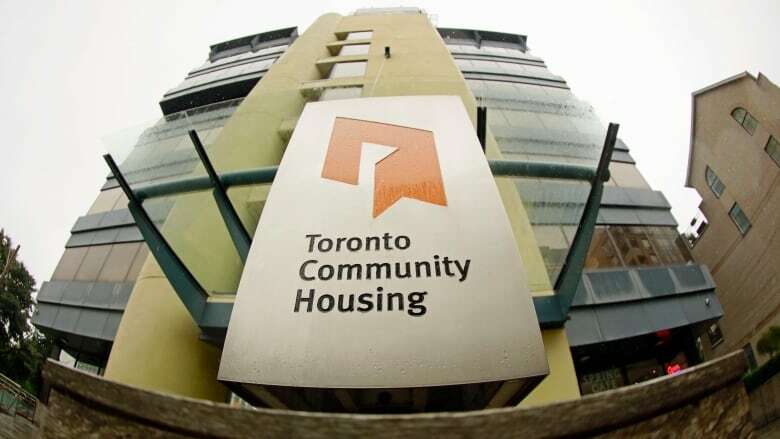 The public housing agency hired Rubin Thomlinson last December after some employees complained to Toronto's ombudsman. TCH is the second largest public housing agency in North America — behind the one in New York City — with roughly 110,000 residents living across its 2,100 buildings. More than 1,600 people work at the agency. Anne McGregor used to be one of them. She worked for TCH for nearly 28 years when she was terminated from her job as a manager of access and support in August 2017, according to her statement of claim. Annissa Crimp, also a veteran TCH employee, worked for the public housing agency for 18 years when she was let go from her position as a community housing supervisor last October. In their claims, both McGregor and Crimp argue they had clean disciplinary records when they were let go and TCH didn't have just cause to fire them without notice. However, the public housing agency fired the women for cause after conducting an investigation into their attendance "during regular working hours." TCH says, in its statement of defence for Crimp's case, "on at least four occasions, between Sept. 6 - 15, 2017, the Plaintiff conducted personal errands instead of attending work at the Yonge Office, or visiting any of the Assigned Buildings, despite being scheduled to work." Those dates coincide with two invoices for private investigators hired by TCH. The first one for $2,288.45 came from King International Advisory Group, a Markham-based private investigation firm, on Sept. 6, 2017. The second was a bill for $4,968.95 from the same firm on Sept. 22. Crimp, McGregor and their respective lawyers declined to comment for this story because both cases are before the courts. CBC Toronto obtained the invoices through a Freedom of Information request. TCH didn't specify a timeline for "other surveillance" in McGregor's case, but did say the investigation into the veteran employee took place "in or around July and August 2017." In that time frame TCH was billed three times by King International for a total of roughly $3,150. McGregor's lawyer argued she "routinely worked up to 50 hours per week, and was always on-call to respond to emergencies," in a reply to TCH's statement of defence. TCH CEO Kathy Milsom declined to do an interview for this story. In an email statement, spokesperson Bruce Malloch told CBC Toronto that, "Toronto Community Housing occasionally uses the services of a private surveillance firm, which is not unusual for employers." "We have used these services where there is just cause to suspect there has been a misrepresentation with regard to job performance, attendance or absences from work, or where there has been an allegation of fraud," Malloch said. Do public sector employers often hire private investigators? A human resources professor says public sector employers generally hire private investigators in connection to current workers when they have evidence of "serious wrongdoing." "During my time in the public sector I had only one case," said Oxana Svergun, who teaches at George Brown College. "You should have really serious misconduct to launch procedures like this." In Svergun's experience, the case involved an employee who was using the organization's resources to sell medical cards to people who weren't approved by the government. The professor told CBC Toronto she had never heard of a situation in the public sector where a third party was hired to investigate the attendance of an employee, as she says there are easy ways to track that internally. But that doesn't mean public sector employers never hire private investigators. It's a fairly common practice, Svergun says, to hire third parties as part of background checks on prospective employees in both the private and public sectors. In TCH's case, Malloch's statement contends the surveillance services it uses are "monitored by legal counsel and have been used as part of investigations of both unionized and non-unionized employees." But TCH's former general counsel says he didn't monitor those services while he worked at the public housing agency. Mark Johnson served as TCH's general counsel until June 2017 and told CBC Toronto he didn't know about the use of private investigators for surveillance of employees until after he left. But several months after his departure, "a whistleblower told me that the company was hiring private investigators to follow employees," Johnson said in an email statement. "After some deliberation and given the seriousness of the allegation, I forwarded this information to the Ombudsman," Johnson said. A few months later, TCH hired Rubin Thomlinson after Toronto's ombudsman made Milsom aware of complaints about the public housing agency's HR practices. In January, Milsom told the Toronto Star the investigation would be complete by mid-February, but the investigation is still ongoing with the public housing agency saying it "hopes to have the report soon." "If the investigation by Rubin Thomlinson finds there are outstanding issues that need to be addressed, we will take the appropriate action," said Malloch.